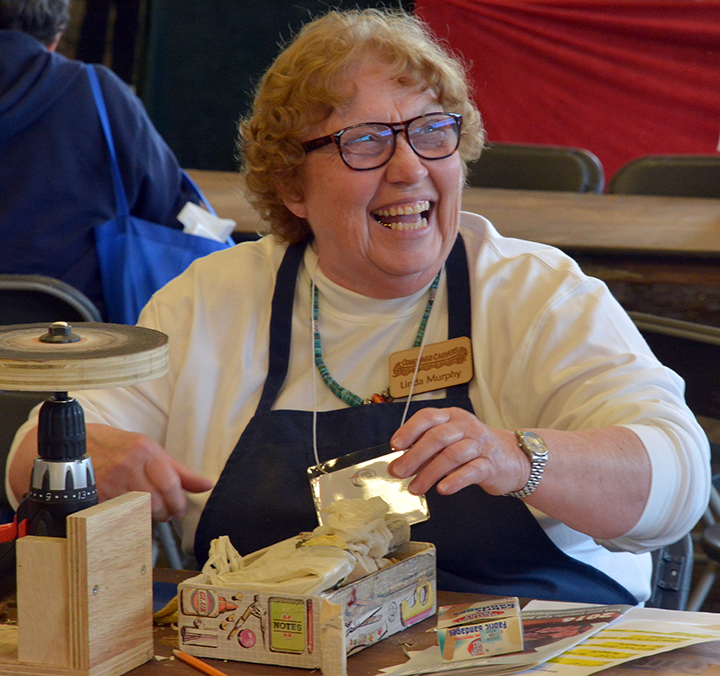 Fun times were had while soap carving. 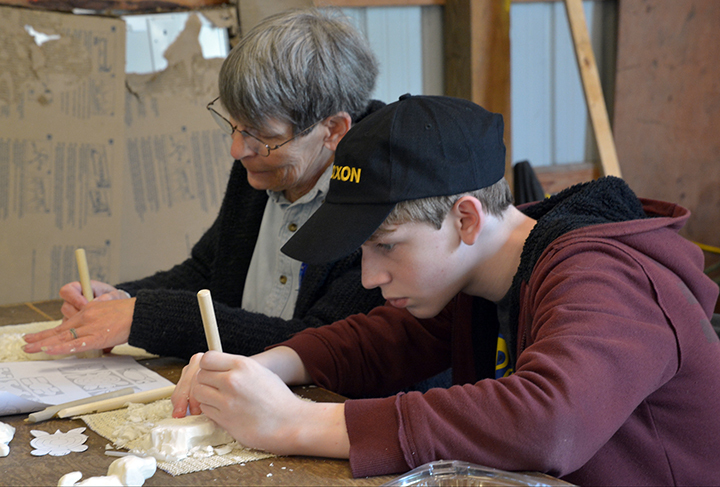 People of all ages enjoyed learning how to carve soap. 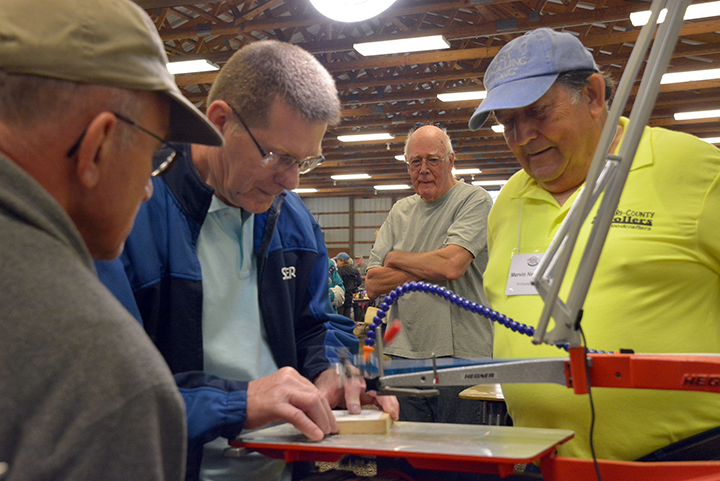 The South Central PA Woodturners made turning a pen look easy. 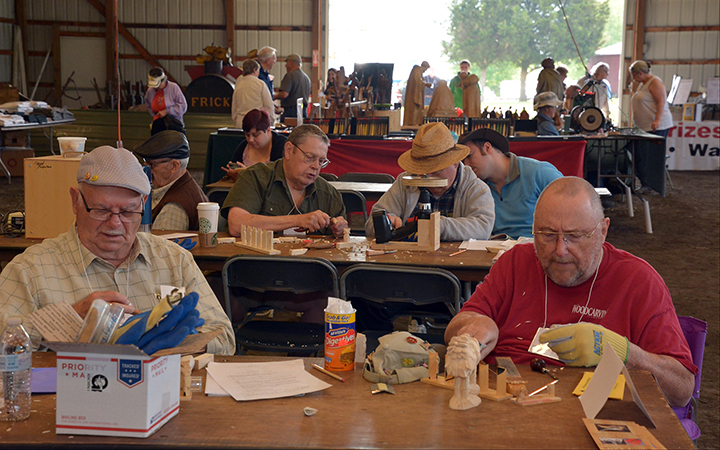 The South Central PA Woodturners helped many people make their own lovely pens. 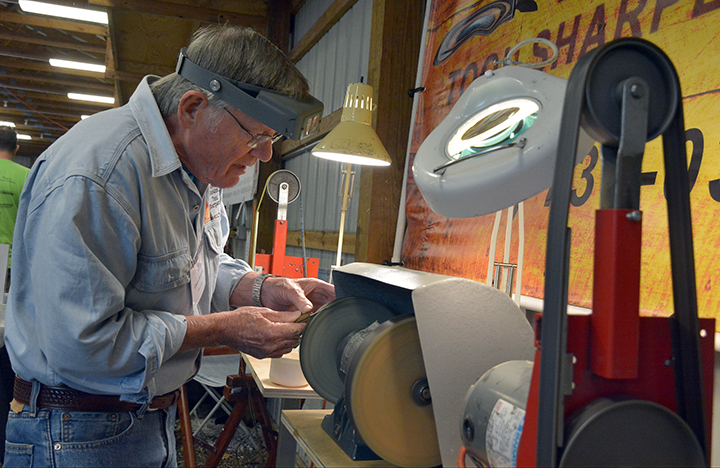 The Lancaster County Woodcarvers and Conewago Carvers showed many people to carve a 20-minute owl. 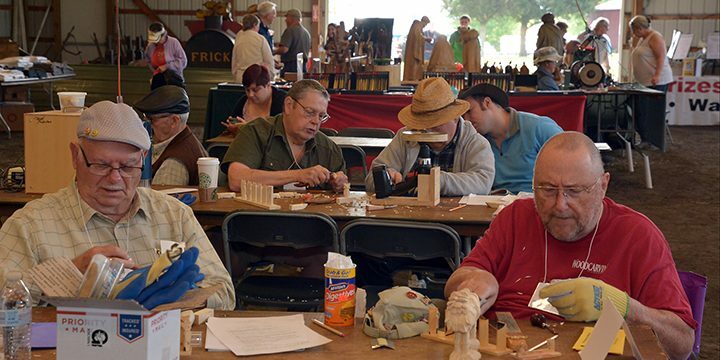 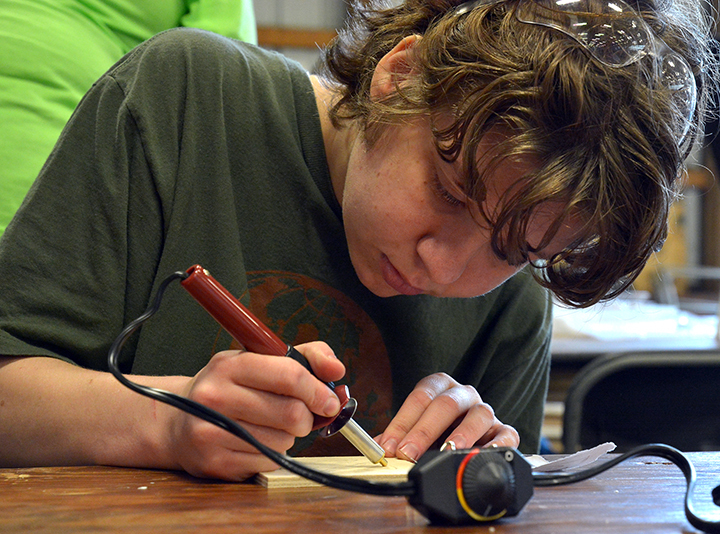 The Lancaster County Woodcarvers and Conewago Carvers helped some people carve their first project. 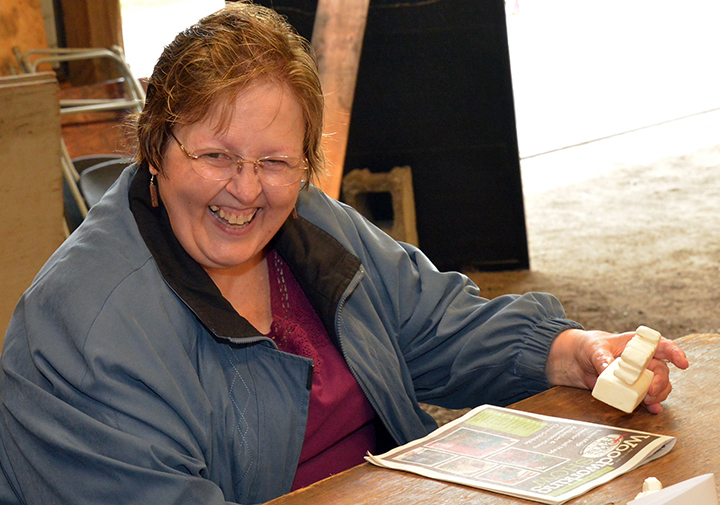 The Tri-County Scrollers demonstrated how to scroll animal puzzles. 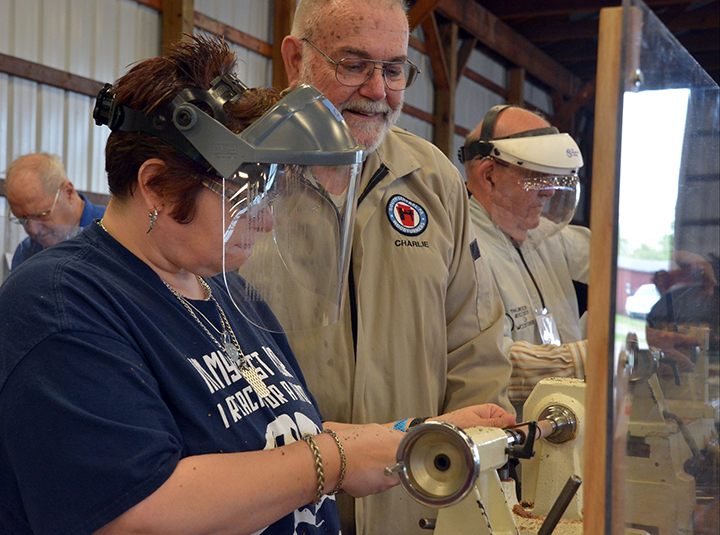 Fox Chapel Publishing showed that when done right woodburning is a safe and fun craft. 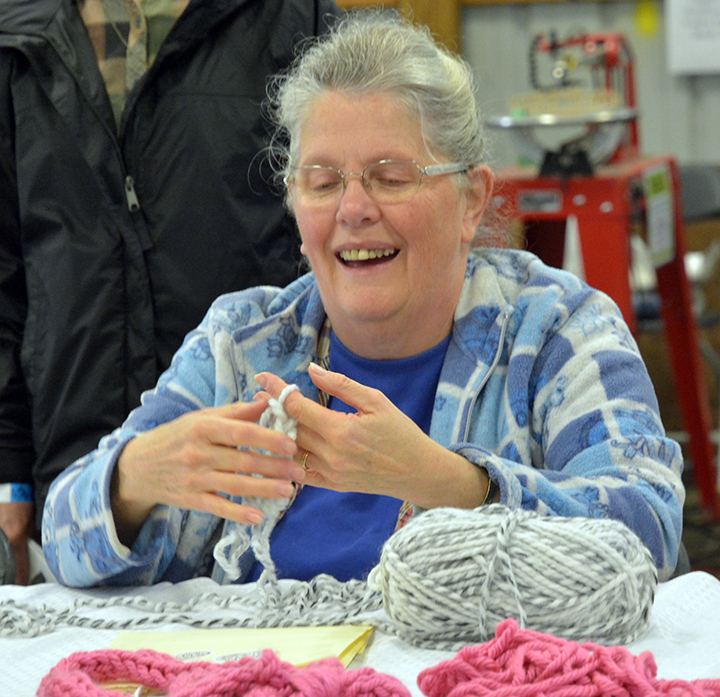 Lots of people had fun learning how to knit scarves with just their fingers. 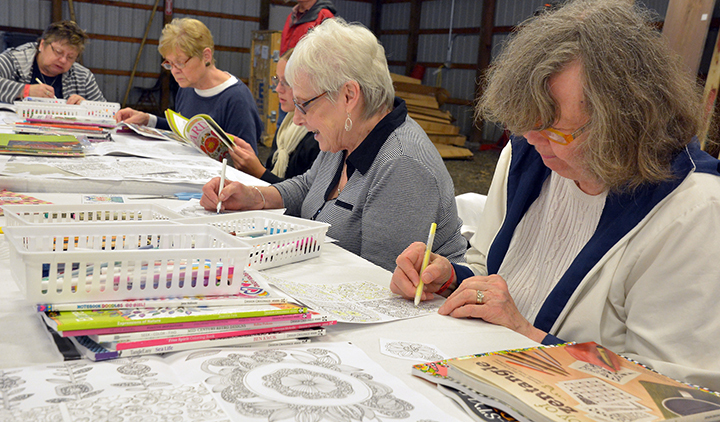 There were many colors to choose from at the coloring book table.